So I have learned what it means to buy a house: you fix one thing and another thing breaks. I get my car fixed, my heat breaks. I fix my heat, my internet disappears. I fix my internet and my car breaks again. At this moment I have everything working but by the end of the day I'm sure the basement will be flooded. Ok and technically the car is not fixed- the mechanics couldn't figure it out and I ended up buying a new (to me) car. Whaddaya mean you don't know what the heck that is? Obviously it's a Merlin being dethroned by a crow... Only my second Merlin and it was zipping around my yard! I finally made it out birding this morning! I went up to Ridgefield for a couple hours to get away from housework. It was very wintery feeling there, with those blueish cloudy skies and chilly air... Not the best for photos but still good birding! I don't remember seeing the teasel with these little green growths before- is it part of the teasel or something growing on it? 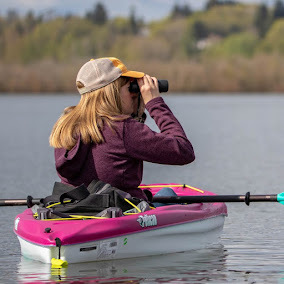 It was nice to get out birding after being so busy the last couple weeks! Good times! 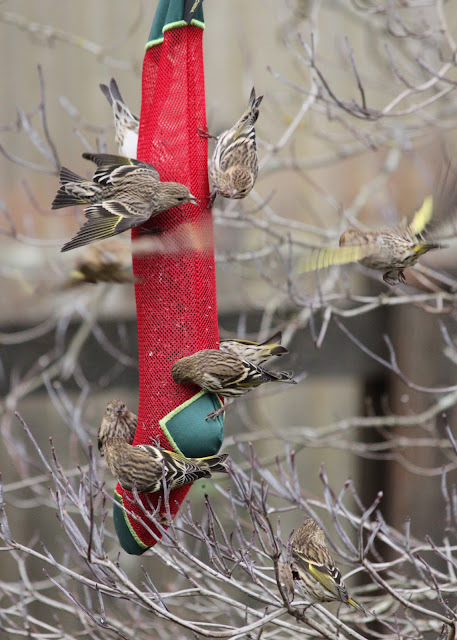 The Pine Siskins are my best customers. They love the nyjer-filled stocking- I've counted at least ten at a time on there. I've had a decent variety of sparrows daily too, though no White-throateds yet. Between the berries on my ash tree and the apple trees next door, there is no shortage of starlings, scrub-jays, crows, and robins. I swear I heard a Varied Thrush one morning but no visual proof yet. Hopefully I will get out birding this afternoon or tomorrow so I will have something more interesting to share! There is tons more crap I'm not showing you. I don't mind really, I like weird old crap.